Babies can be the hardest to buy for. If they are brand new how about you think about putting a small hamper of nice but practical items for them. It is something that would probably be really appreciated. 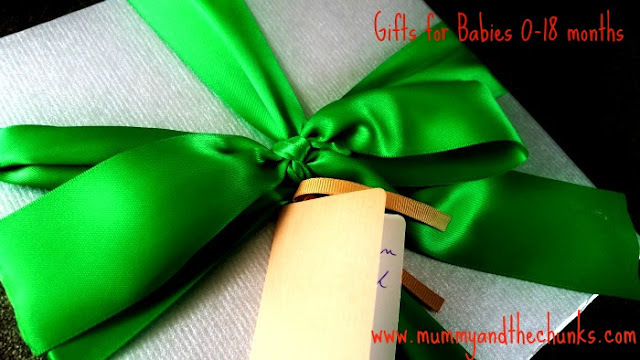 I have a few recommendations for hamper items here along with some great ideas for main presents for slightly older babies. I am awful and don't tend to use bibs for meal times as my kids make a mess on their clothes with or without a bib. I would need a full plastic body suit to shield them. I do use dribble bibs whenever they are teething though as babies. I hate seeing their poor chins red from being soaked in dribble and bandana style bibs are perfect for helping keep the area and their clothes dry. 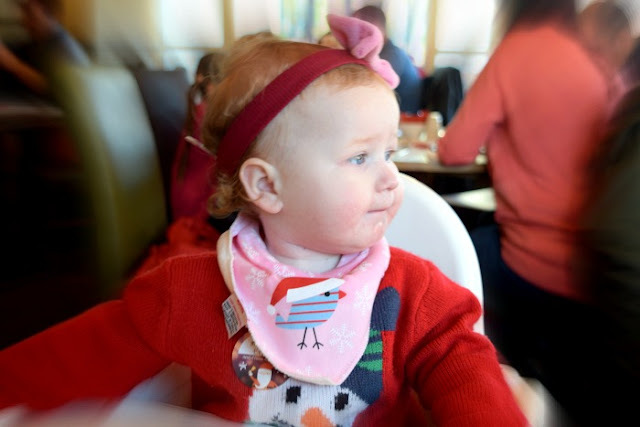 I love these Christmas design bandana bibs from Zippy Bibs. Elsie will be wearing them for most of the Christmas season. They do non-seasonal designs too if you want something to suit all year around. They cost £3 each and make a perfect stocking or hamper filler. 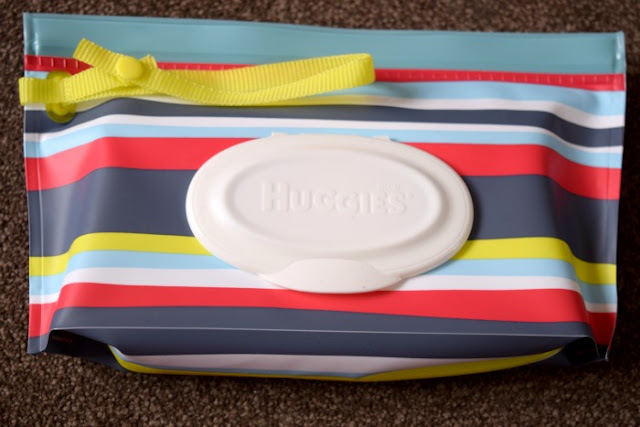 Another great hamper filler is the new Huggies Style on the Go refillable wipe pack. The stylish pack comes in three different designs. As well as looking good it is really handy. It has a strap you can hang off almost anything, very handy for pushchairs, and the air tight seal keeps wipes from drying out once opened. They cost around £3 and are currently available at most supermarkets. Elsie turned 1 in August and her most played with gift was the Fisher Price DC Superheroes set that we bought her last minute. I hadn't looked at the Little People range until I spotted the DC range (which we had to have with a superhero obsessed house). As she plays with them so much I looked into the rest of the range to find some nice gifts for Christmas. We have opted so far for the Fisher-Price Little People Disney Princess Rapunzel's Tower and the Cruella De Vil vehicle. The figures are the perfect size for little hands and they are so detailed. 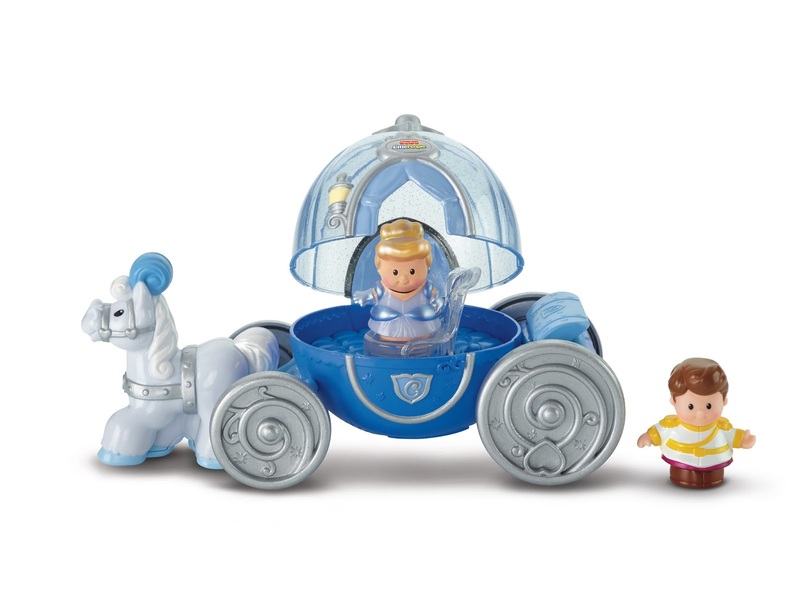 We are also hoping to get the Cinderella Carriage (above) or the Snow White and the Seven Dwarves figure set. Now ours are hidden away so I have used a stock image to show you what they look like. The prices do vary and it is best to shop around for the best prices before you buy. Elsie loves the Twirly Woos. It is her absolute favourite TV show at the moment (and is filling up my sky planner). The Peeking Peekaboo from Golden Bear toys is on her Christmas wishlist. It is suitable from 10 months+ and is reversible so you can hide him ready for a 'Peek a boo'. 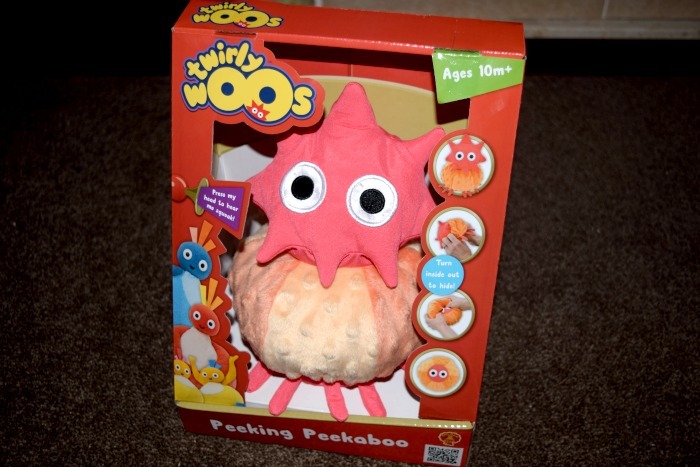 Every babies favourite game has got to be Peek a boo so I think this toy will be a huge hit for this age group. You can also squeeze his head to make him squeak which is a great feature. The RRP is £14.99 but I have seen it cheaper online already so worth shopping around. All of my kids have loved In the Night Garden at one point or another. The Explore and Learn Musical Activity Carousel features different characters and activities on each of it's five sides. Iggle Piggle sings songs and talks, Upsy Daisy dances, Makka Pakka hides away in his cave. It also features the Tombliboos, Pinky Ponk and Ninky Nonk. If you have never watched In The Night Garden, you will have no clue what I am talking about but the kids love these characters. I have not yet met a toddler who has never loved the show. 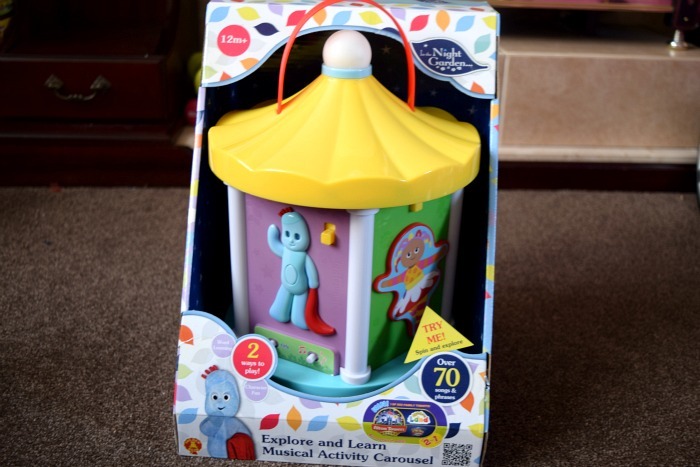 The Musical Activity Carousel has so many great features to entertain the little ones. The RRP is £29.99- £34.99 and prices vary at different retailers. I think it is the perfect Christmas present for any baby/toddler this year. My kids love the finger puppet books from Parragon, we have quite a few in our book collection now. Jingle, Jingle, Little Reindeer is a lovely little book featuring a cute finger puppet reindeer and a sweet rhyming story for the kids inside. 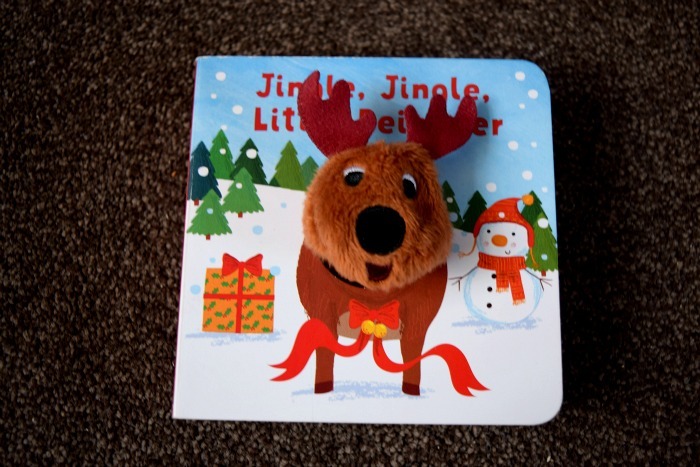 It is a great festive book for young kids and would make the perfect gift for a baby or toddler this Christmas. 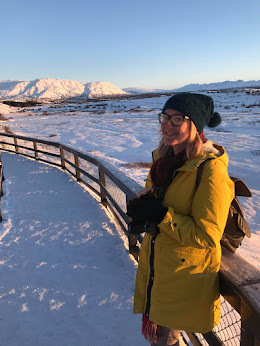 Some of these items were sent free of charge for consideration in this guide and some were gifts I purchased for Elsie but all items featured are personal recommendations and all opinions are my own.